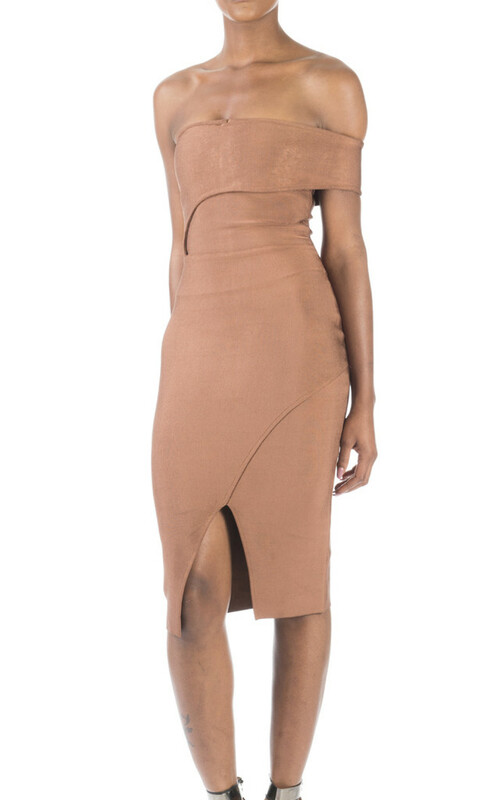 The elegant but sensual Nala Off-The-Shoulder Bandage Dress is the perfect edition to any wardrobe through-out the year. Dry clean only. Fitted shape and sizes are on the small side. Model is 5'8" and is wearing an XS. Material: 90% Rayon, 9% Nylon & 1% Spandex.